'A single act of kindness throws out roots in all directions and the roots spring up to make new trees’. 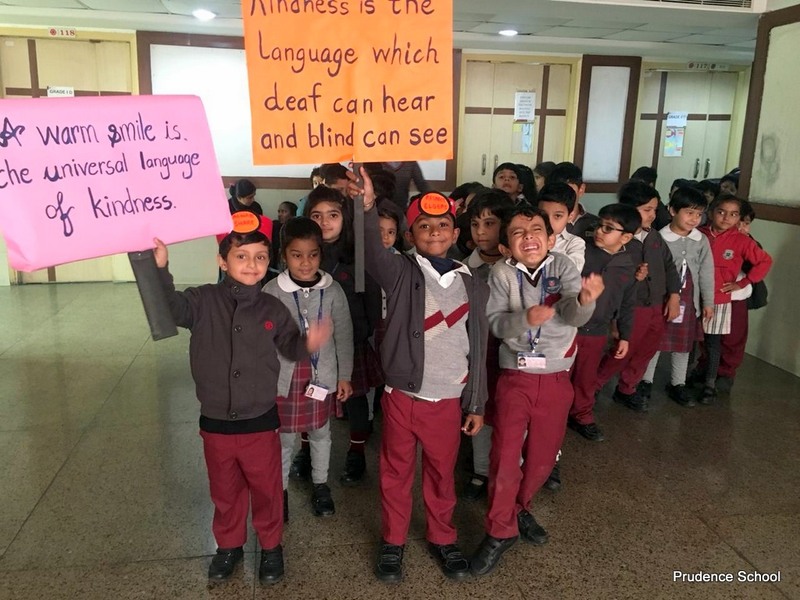 To highlight good deeds in the community focusing on the positive power and the common thread of kindness which binds us, Noble students of Prudence School Dwarka 22, conducted a drill on ‘World Kindness Day’. 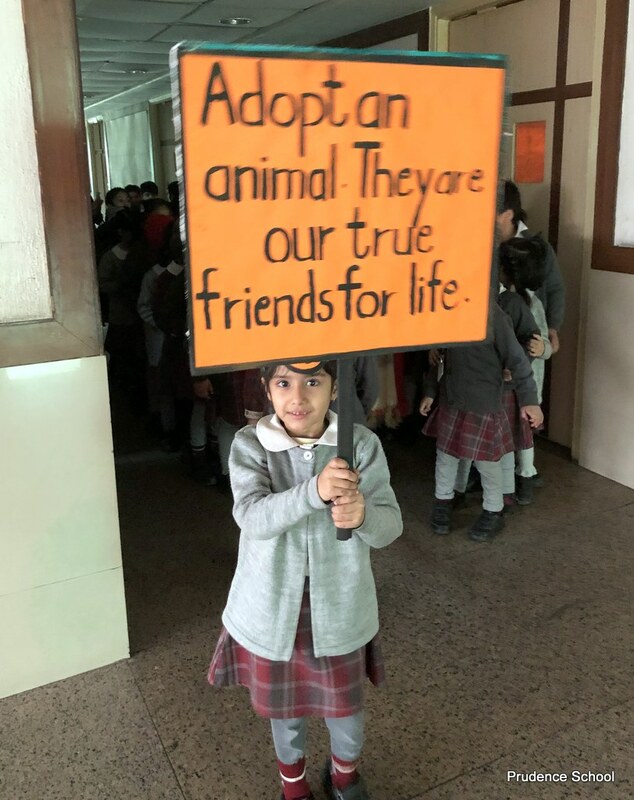 Students sprightly raised slogans with messages that depicted sense of humanity, thereby spreading a positive power all around the corridors and open arena so as to reach everyone. The drill aimed to bridge the divides of race, religion, politics and gender. 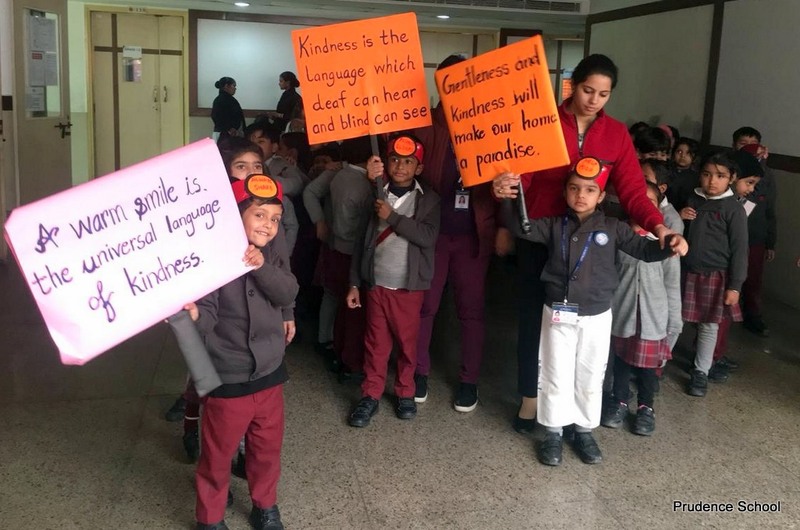 Students expressed gestures of kindness and gratitude towards the helpers of the school ( guard, maids, sweeper, cook, electrician, etc.) 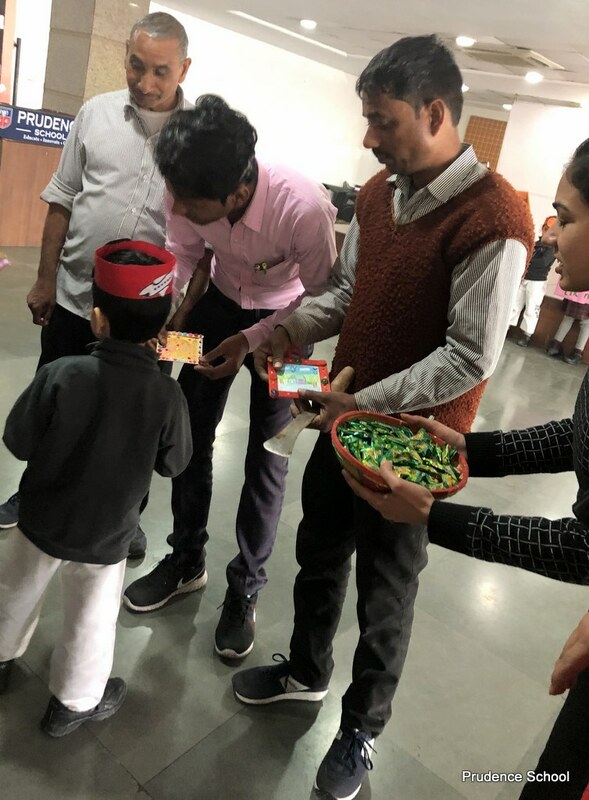 for every task they perform in the school, by distributing sweets and handmade photo-frames, which brought a bright smile on everyone’s face. 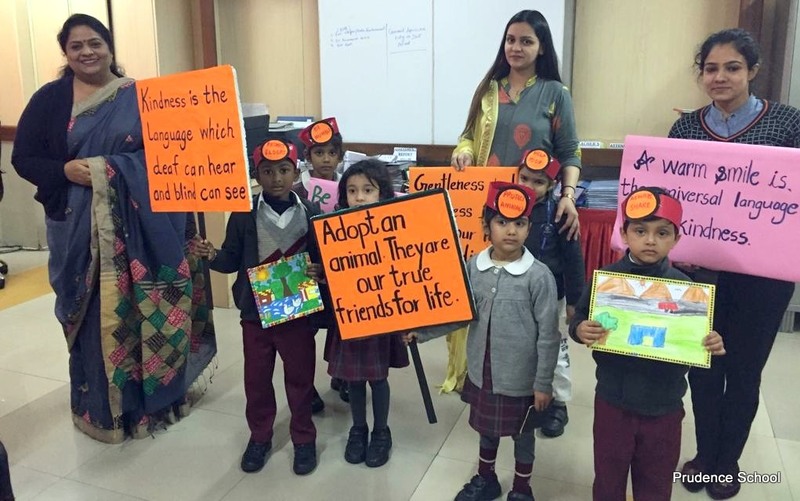 Pledging to commit an act of kindness like protection of animals, helping the needy, sharing things with others & being kind and respectful to elders, enticed the feeling of empathy among students. 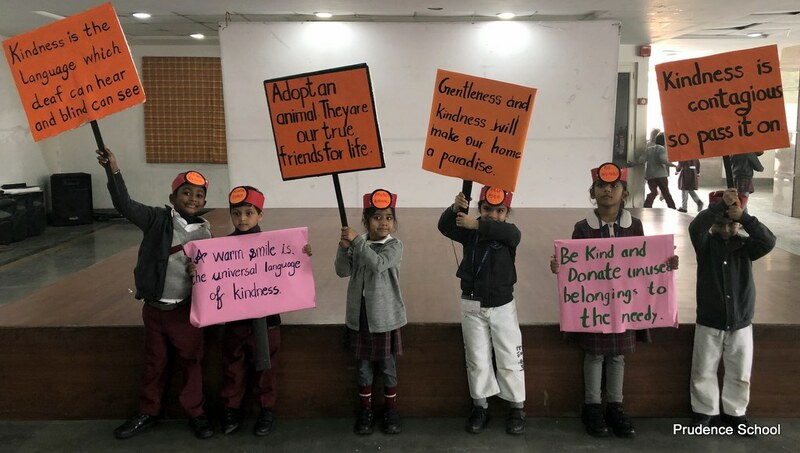 Kindheartedness always bind us and helping others can restore values, with this thought, everyone pledged to make the world a better place to live in. Students were completely enthralled with the drill and carried gratifying memories to share and remember.